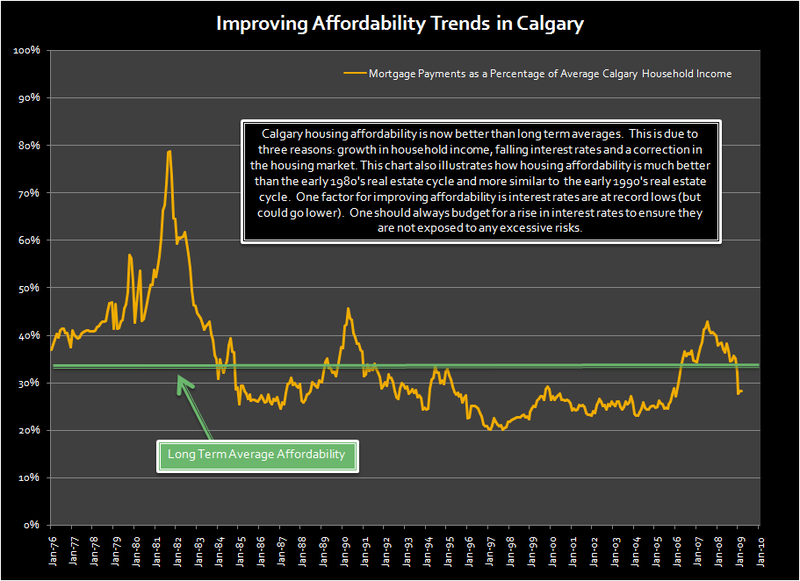 Posted by DustinRJay in Calgary real estate, carrying costs, valuation models. correction in the housing market. The following chart also illustrates how housing affordability is much better than the early 1980’s real estate cycle and more similar to the early 1990’s real estate cycle. One factor for improving affordability is interest rates are at record lows (but could go lower). One should always budget for a rise in interest rates to ensure they are not exposed to any excessive risks.